Georgetown Publishing, LLC, 9780615154497, 124pp. Robert J. Sykes, Jr (Bob) was diagnosed with Frontotemporal Dementia in December 2003 at the age of 47. This rare form of Dementia is a brain disease that slowly erodes cognitive abilities and causes personality changes. He endured the disease for more than three years before succumbing on April 7, 2006. This book paints a picture of a unique individual, a generous and giving man, who selflessly devoted himself to family life. It is a story of loss, but it is also a story of love and devotion in the face of devastating illness. This story will provide support and inspiration to others who are coping with dementia and other irreversible illnesses. 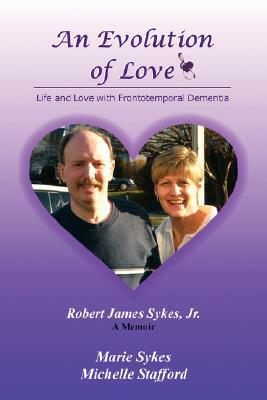 For each book sold, a donation will be made to the Association for Frontotemporal Dementias.